In this scenario our business requirement is to dynamically set an SSRS report (URL) which has been embedded onto the Account form via a IFrame. We need to pass in the current accounts guid into the URL so the correct SSRS report content is shown. We create a ClientSide formula that executes in the OnLoad() event of the Account form. 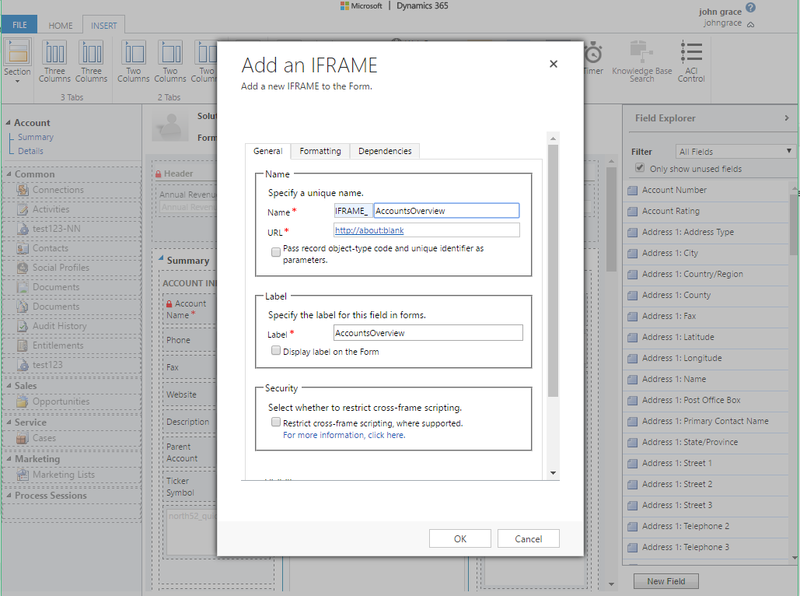 How to add IFrame to a form. Note 1 : if you are using CRM \ Dynamics 365 Online or are running under SSL for On-Premise then use https instead of http in the URL parameter in the screenshot above.